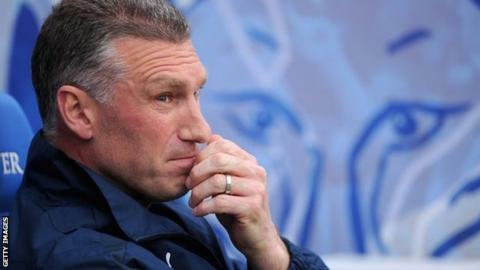 Leicester City boss Nigel Pearson says being named Championship manager of the month for January is a reward for everyone at the club. The Foxes are 10 points clear at the top of the table having won all five league games last month. "I don't register it as an individual achievement. You can only be a success in a team sport with a collective effort," he told BBC Radio Leicester. "What it does do is recognise contribution across the board." Along the way, City also set a new club record for consecutive league wins, taking it to nine on 1 February with victory at Bournemouth.